So-called "Republican" John McCann is following the Democrat DCCC playbook and -- just as they do with President Trump -- trying to question conservative Republican Steve Lonegan's bonafides. They did it to every Republican since Ronald Reagan. It's just what liberals do. But there is a reason why the National Republican Congressional Committee (NRCC) and every elected Republican in the 5th congressional district have said "no thank you" to stumbling John McCann: They don't trust him. During the 2016 Presidential Election in which Democrat Hillary Clinton faced Republican Donald Trump, John McCann was the "right-hand man" (according to The Record newspaper) to Democrat Sheriff Michael Saudino, Hillary Clinton's running mate. That's right, wannabe Republican candidate John McCann was the consigliore to and "brains" behind a Bergen County Democrat candidate who shared a ticket with Hillary Clinton. Not only did McCann's boss, Democrat Saudino, share a ticket with Mrs. Clinton, he shared it with Democrat congressional candidate Josh Gottheimer. 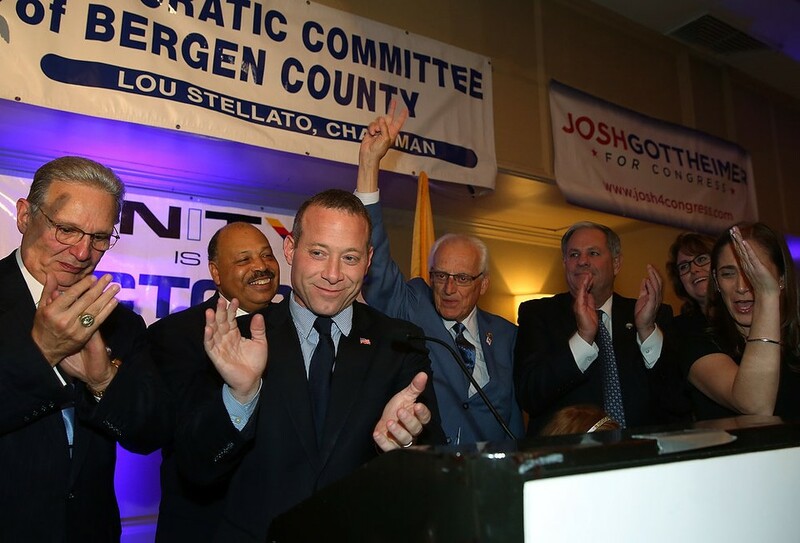 And yes, on election night, in Bergen County, they all partied together and celebrated Josh's win and Saudino's win... and then they all started to cry when Hillary didn't. Now why would any self-respecting Republican trust (forget support!) a guy like McCann -- who was in the middle of all those Democrats? Here they all are, on election night in Bergen County, whooping it up. The only people rooting for John McCann are Democrats who want to see Josh Gottheimer not have the tough fight he deserves -- so that the Democrats are free to focus on races against Republican congressmen Rodney Frelinghuysen, Leonard Lance, and Tom MacArthur. Any Republican who goes along with that is either corrupt or a fool. Is John McCann, attorney for the Sheriffs' Association, ineligible to practice law?